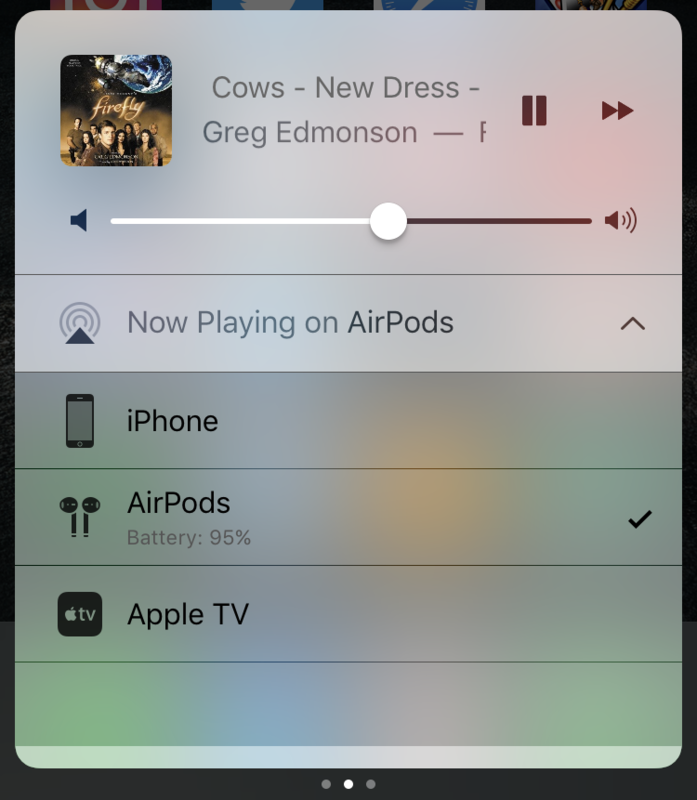 While there are a lot of new control features coming in iOS 11 (at least according to rumor sites) there’s already a limited set of changes you can make with your new Apple AirPods on the existing iOS 10 system on your iPhone, iPad or other iOS device. Before I show you that, however, allow me to show you a few nifty little tricks in terms of how to access AirPods, see their charge level, and generally have them fit into your iCloud-based account. A lot of these features just magically show up because of the tight integration between iOS 10 and the AirPods themselves, so some things are just “ooh, okay, that’s new!” sort of features. Look closely and you’ll see that the AirPods charge level is also shown here! Mine are at 95% charge. (yeah, it’s a bit small so you have to look closely). 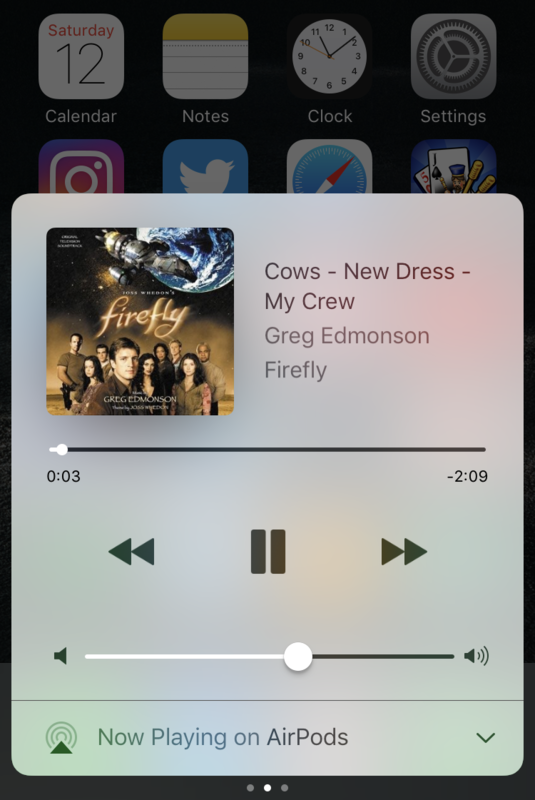 Also note that if you have an Apple TV you can use that as an output device for your iPhone or iPad too, making it really easy to have your mobile device as a remote control for whatever music or other audio content you enjoy. 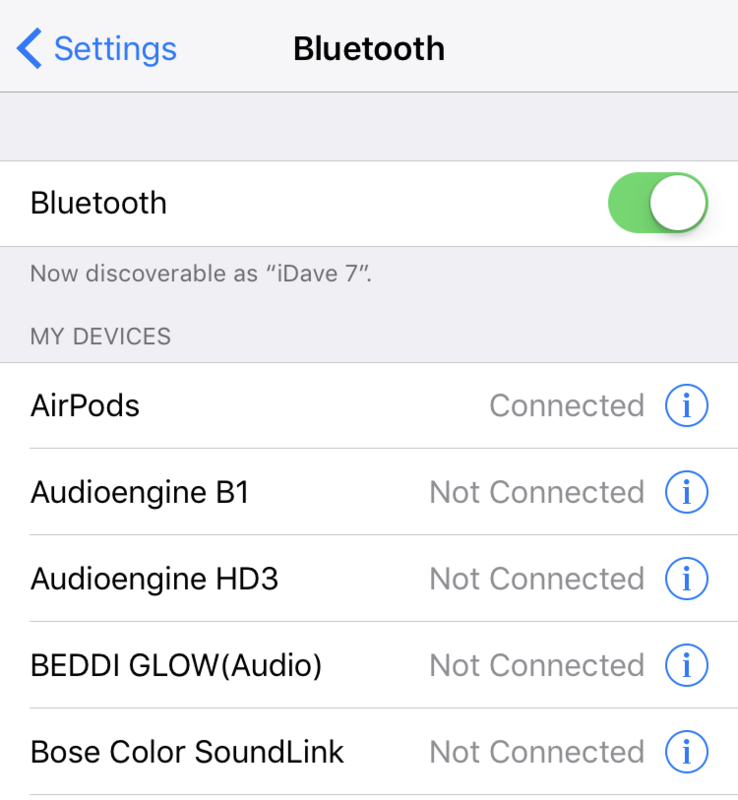 Here you can change the name of your device if you want (tip: Mine are called “AirPods ” with a trailing space, which is why iOS doesn’t rename them each time I reconnect), change what happens if you double-tap on your AirPods and even enable/disable automatic ear detection. What’s automatic ear detection? It’s the feature that turns on your music once both are in your ear, pauses your music if you remove one, and stops your music if you remove both. All automatically. Quite slick and intuitive with practice! That’s it for now. Hope it helps you get more enjoyment out of your new Apple AirPods. iOS 11 will have more options as Apple integrates more features and controls into the system, so stay tuned for that too!